The ideal range for flat iron straightening. 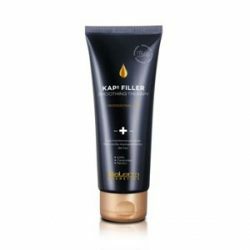 Protects hair from heat and hydrates and strengthens making it easier to manage. Straightening Shampoo is a shampoo especially designed for hair dried using a blow dryer or iron, to protect hair from the heat. It cleans hair gently and nourishes and strengthens. It also has moisture-repelling properties and helps make straightening ultra-fast without frizz. Straightening Gel helps to create and construct instantly straight styles with flat irons, dryers or tongs. Creates a laminated effect that makes the hair more resistant, therefore helping to keep straight styles in place for longer. Avoids and eliminates frizz. Protects against external moisture. Straightening Spray makes shaping with an iron easier and longer-lasting. Leaves hair shiny and frizz-free. Creates a heat resistant film which coats the hair and protects it from the high temperatures produced by an iron. Makes light work of untangling. More shine, a better feel and a healthy and flowing appearance. 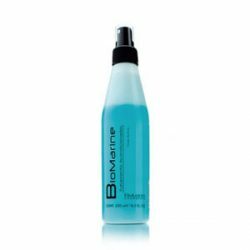 Biomarine is a three phase conditioner that seals the cuticle, conditions and helps to untangle hair. It's a triple active treatment that combines a conditioning phase, a fiber restructuring phase and a deep acting moisturizing phase with a global action. 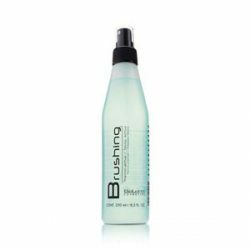 Brushing is a lotion that helps to create blow-dried styles or styles created using other heat based systems. Its formula contains components that help hair shape last longer as well as protecting it from heat.